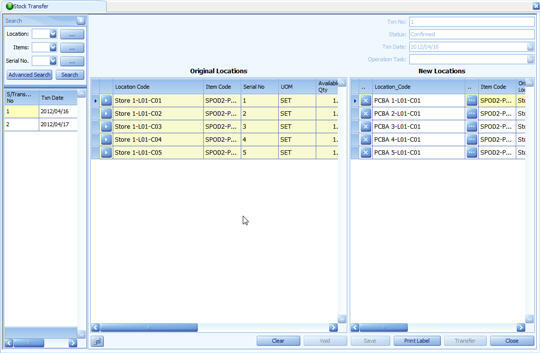 Chronos eStockCard Inventory Software has assisted many Electronic Manufacturing Services to track the movements and the status of Test Fixtures, In-Circuit Tester, Testing Instruments and many production auxiliary systems. 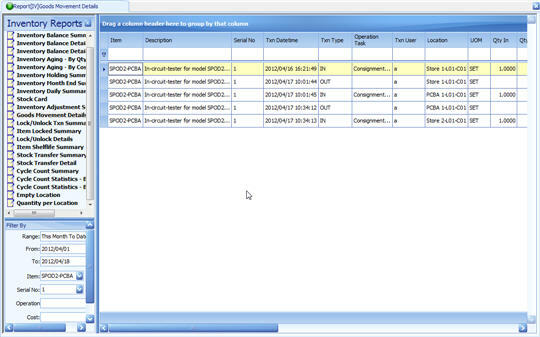 There are large variations in terms of software driver, firmware and test probes to cater for various PCBA assemblies. Proper identification and traceability is critical especially to high volume manufacturing firms. 2. Frequent changing and fast turnaround of production auxiliary systems to cater for different OEM customers. 3. Wear and tear and frequent maintenance such as changing test probe, cable and pins. 4. Calibration to the test instruments, fixtures that may involve third parties such as regulatory body or vendors. Fixtures or testers can be supplied or consigned by customer (consignment), vendors, or regulatory body. 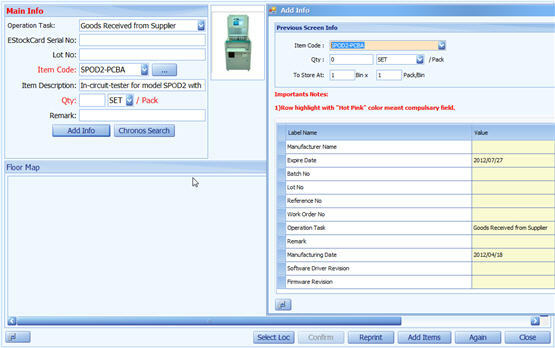 IN screen can be used to record crucial information and unique identification such as unique code, description, manufacturer, validity and you can even customize many columns to cater for proprietary information. Unique serial number will be generated for each unit for tracking purpose. Stock Transfer can be used to transfer the testing equipments between various departments (Engineering, Maintenance, Production, Outgoing QA etc) and all the movements can be recorded properly. Many useful and powerful reports can be utilized to monitor the movement of every equipment. Why I were unable to receive email alert in the eStockCard Tracking System?